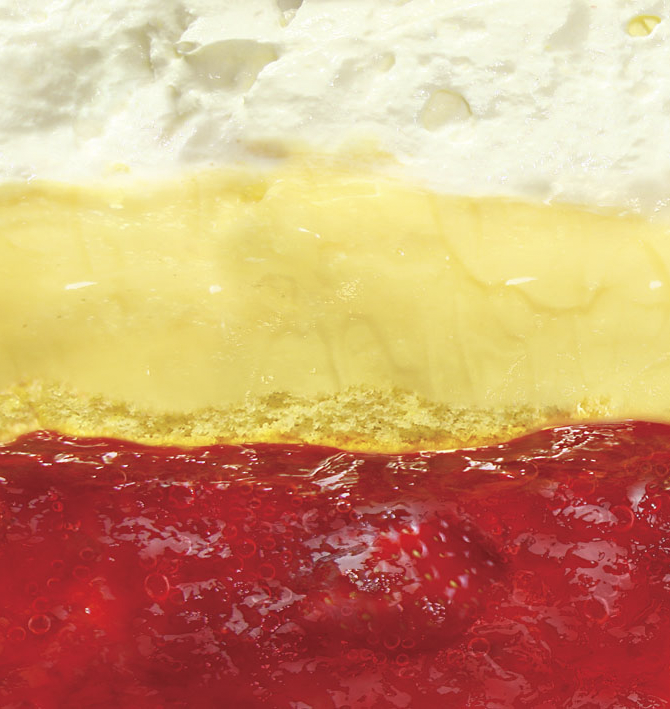 Cross section of a yummy strawberry trifle. Created by using jam, cake, sponge, custard, cream and yoghurt. But nonetheless convincing, hopefully.